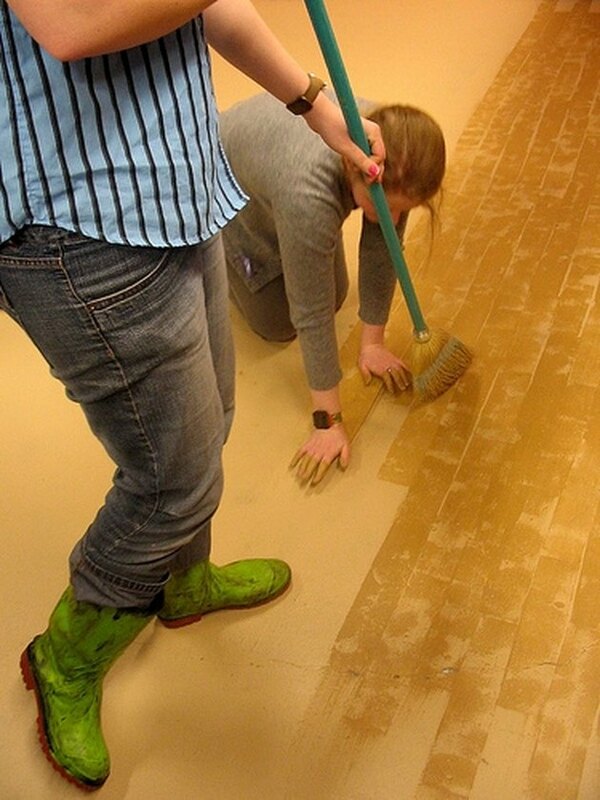 Don't despair if your linoleum flooring has become dull, dingy and unsightly. If tearing it up and installing new flooring isn't in your present budget, you can paint over the linoleum. It's quick, easy and inexpensive. Paint your linoleum floor for a fast and affordable new finish. Cleaning the floor before painting is a necessity. 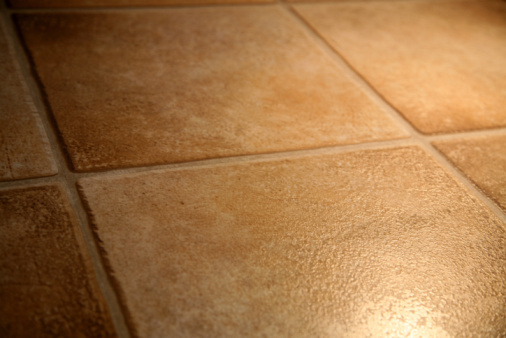 Thoroughly wash and dry your linoleum floor with an ammonia-based cleaner. 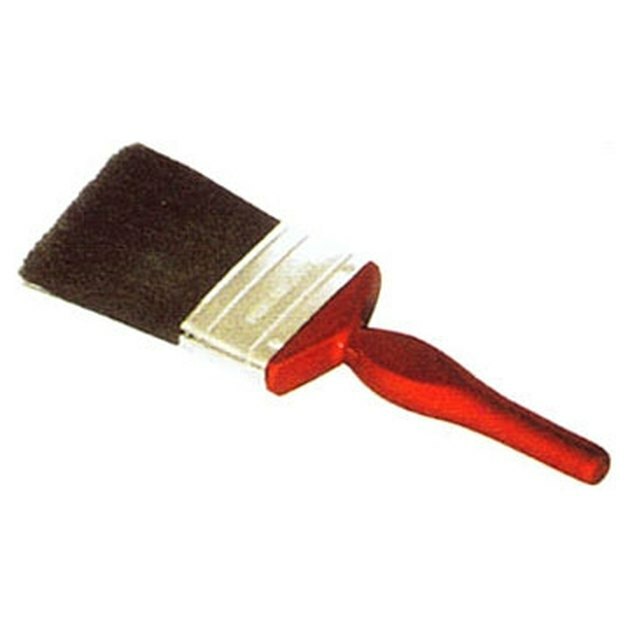 Traces of oils or sticky residue won't allow the paint to adhere properly and will result in an uneven finish. Be bold when you choose your flooring paint color! Rough up the floor's linoleum surface with steel wool or rough sandpaper. Do this in an even motion. The marks made by this process may show through the paint onto the surface, and it looks best when the marks appear to have been made in a like manner. Sweep or vacuum thoroughly after completing this step. Painting your linoleum floor is a fairly easy do-it-yourself project. 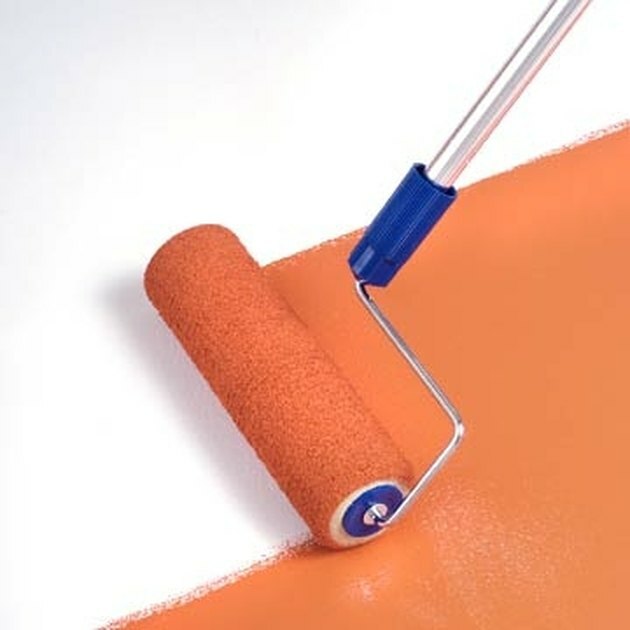 Using a medium-sized paintbrush, paint around the floor's perimeter using a neutral-colored primer for floors. Once the perimeter is defined with primer, roll primer onto the remainder of the floor. Allow this coat to dry for about an hour before applying a second coat. 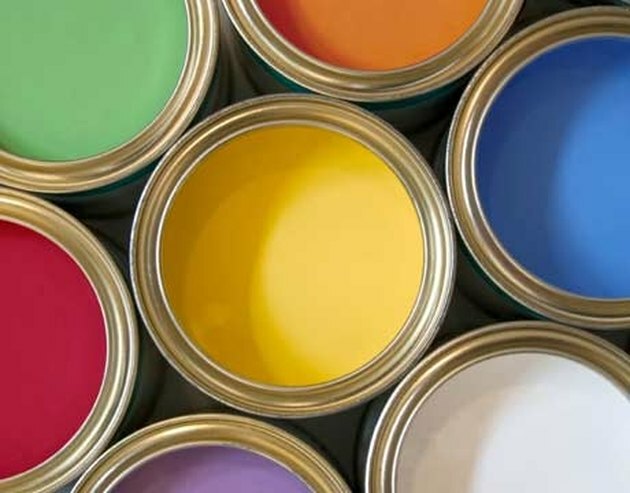 Once the second coat has dried, let the paint dry for several hours before applying the chosen paint color. Repeat the process around the perimeter of the floor, applying the top coat color of floor paint. Floor paint is designed for use on floors and can withstand the traffic. Once the first coat is applied, paint the second coat of floor paint. Caulk around the edges of the floor once all of the paint has thoroughly dried. Some people opt for a clear acrylic top coat to seal the painted finish. This isn't always necessary, since most floor paint is designed to withstand quite a bit of wear and tear.